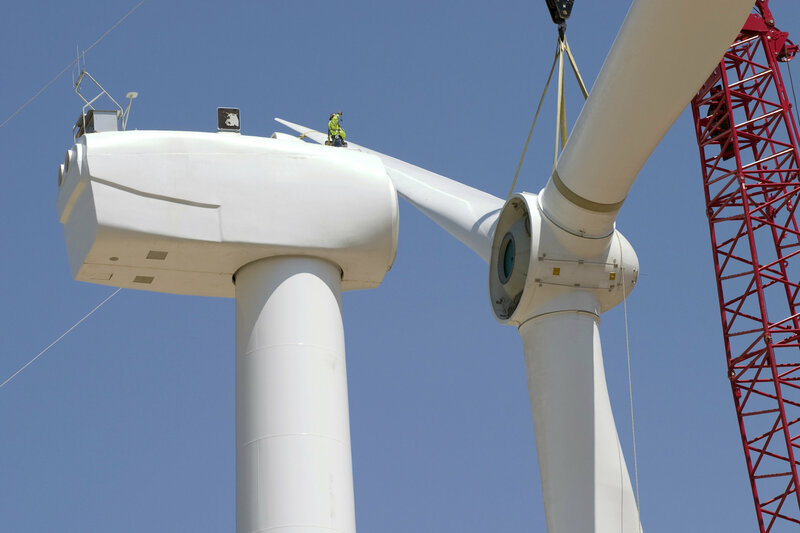 According to the American Wind Energy Association (AWEA), wind energy deployment is booming. In AWEA’s 2018 Quarter 2 report on the U.S. wind industry, the organization reported the addition of 626 megawatts of wind energy to the U.S. electric grid. This brings the national total to more than 90,000 megawatts of nameplate capacity. Developers also reported more than 37,000 megawatts of wind energy under development, an increase of 46% year-over-year from 2017. Developers and industry experts continue to cite technological advancement and siting improvements for the declining cost of wind power. In fact, across many geographies in the U.S., wind energy is the cheapest form of power. As the onshore market drives forward, the offshore wind energy industry is also poised for growth. Earlier this month a report from BIS Research on the global offshore wind industry projected the industry to represent a more than $50 billion market through 2023. While much of the expected activity in offshore wind energy is international, the U.S. currently leads the world in installed offshore wind capacity. Closer to home, a proposed project to install offshore wind turbines in Lake Erie – the first such installation in the Great Lakes – continues to move forward, receiving conditional approval from the Ohio Power Siting Board. The story is no different in Michigan. Our state ranks 13th in the country in installed wind energy capacity, and, according to AWEA, is among the top four states for capacity additions in 2018. Michigan has already added 44 megawatts of wind energy this year and more is planned. Longer term, wind factors heavily into plans for renewable energy investment by Michigan’s investor-owned utilities. The economic benefits of this development to local communities, revenue-streams to local farmers and landowners, and support for school districts, is undeniable. For example, in Gratiot County, “wind development has provided numerous benefits including a $330 million increase to Gratiot’s tax base and an additional $10.37 million in tax revenue since 2012.” Despite opposition driven by outside interests, communities, advanced energy companies, and utilities in Michigan continue to work together toward mutually beneficial projects. To maintain the forward momentum observed in Michigan and across the country, it is essential that community engagement is conducted in a robust manner and that communities can make informed decisions about energy development. Wind development continues to face pushback in Isabella County. DTE Energy is still in the development stage of a potential 50- to 70-turbine wind project in southern Michigan. Consumers Energy committed to 75 more wind turbines in Gratiot County. In late June, Monitor Township passed a moratorium on wind development in the township. The Michigan Conservative Energy Forum released a study finding that renewable energy, including wind energy, could grow the state’s economy by more than $10 billion. The report states that Michigan could create 69,000 job-years on a path to 30% renewables by 2027. Plans for a 49-turbine wind project in L’Anse Township in the Upper Peninsula sees opposition from local organization. Wind project development continues in Michigan despite some opposition. Wind costs decline thanks to technology improvements and siting decisions, according to the U.S. Energy Information Administration. An Ohio resident uses a backyard wind turbine to offset her energy use. Ohio utility AEP is “growing impatient” over regulatory delays with a major wind project in Oklahoma and Texas. The Iowa Supreme Court declined to overturn a lower court ruling ordering a developer to remove three wind turbines in northeastern Iowa. Offshore wind turbine capacity will increase by orders of magnitude, according to a new report from MAKE Consulting. To help finance offshore wind projects, New Jersey’s utility regulators proposed a system of energy credits for such projects. American Wind Week is slated for August 5-11. Find more information here. EUCI invites you to the Retooling PURPA conference on August 20-21 in Atlanta, Georgia. Register here.